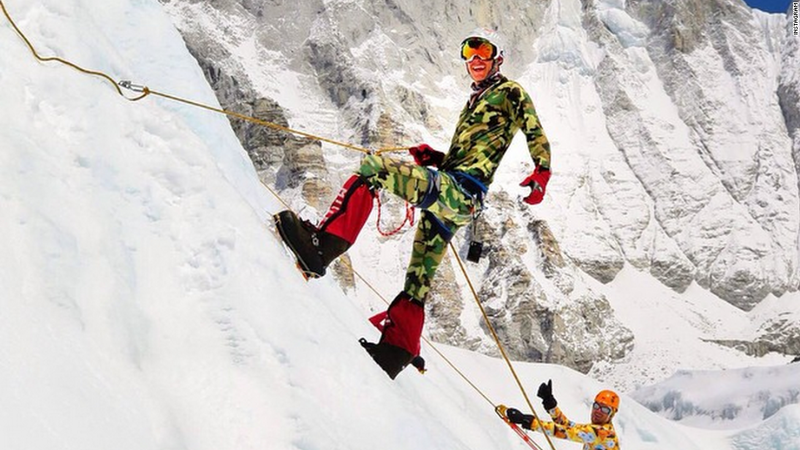 People searching for their loved ones in Nepal can turn to Google and Facebook. Mark Zuckerberg announced Saturday that Facebook (FB) has developed a new tool called Safety Check. The simple tool sends messages to people who are in Nepal, urging them to click a button to let their Facebook friends know they're okay. "When disasters happen, people need to know their loved ones are safe. It's moments like this that being able to connect really matters," Zuckerberg wrote in a Facebook post. "My thoughts are with everyone who's been caught up in this tragedy." Google (GOOGL) once again revived its "Person Finder" tool this weekend. The tool helps people search for and post information about missing friends and family in the disaster zone. As of Monday morning, the site hosted 5,600 entries. Person Finder allows people to post information about a missing person, including photos and a description. A comment forum allows people to share messages. It's the eleventh time Google has launched a Person Finder tool. The first was built during the Haiti earthquake in 2010. In January 2010, as the devastating Haiti earthquake was unfolding, Google engineer Prem Ramaswami asked former Google products chief (now Yahoo CEO) Marissa Mayer what the company's response would be. "It looks like you just raised your hand," Mayer responded. Ramaswami gathered a handful of other similarly minded engineers, who decided to work around the clock to create the first Person Finder page. 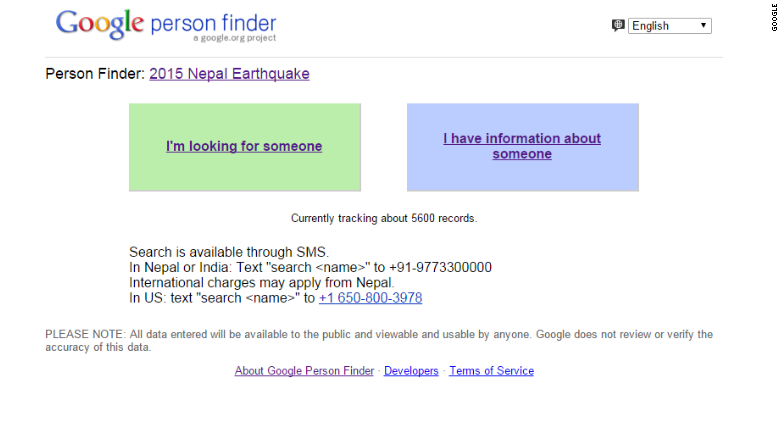 Just 12 hours after the quake hit, Google launched its first Person Finder landing page, Ramaswami told CNNMoney in 2011. Google wasn't the first to tackle the problem of finding missing people. More than a dozen other sites had similar tools -- but none of them communicated with one another. If someone was looking for a loved one, they had to log on to multiple sites, each one its own silo. To untangle the data spaghetti, Google engineers created the "Person Finder interchange format," a common language for a hub that consolidated all the databases. The small, global team of engineers worked nonstop for three days. After the 72-hour hackathon, the consolidated database went live, and sites like CNN.com began to link to it. The tool quickly caught on, but Ramaswami and his team knew they would have to speed up and improve the process for future disasters. He met with Google founders Larry Page and Sergey Brin to pitch a permanent, dedicated team to disaster relief efforts. Page and Brin were happy to oblige. The Google Crisis Response Team is now a global unit with a handful of engineers. They are based mostly in Mountain View, Calif., and New York, but others are stationed around the world to ensure 24/7 coverage. The team has made quick improvements to its response: Person Finder was created and launched 72 hours after the Haiti earthquake, but it was able to get the Nepal Person Finder tool up within minutes. It has also added tools like SMS search for disaster-striken locations without Internet access.